WHAT ARE THE WORST APP DEVELOPMENT TIPS YOU CAN GET? If you are new in the mobile industry, you surely have a lot of questions concerning every issue from choosing the right platform and writing a specification to deciding on method of payment. But looking for the right answers you can also encounter a lot of popular app myths and some of the worst app development tips. How to avoid them? Check our guide! If you keep up to date with the latest trends in the mobile industry, you’ve probably heard a lot about pros of hybrid applications. Such web apps, based on a mix of HTML5 and native development, are easier to build and require less workforce. You only have to create one version of software, using one programming language and your app is ready to use on multiple devices. No wonder, this method seem to be much cheaper, at a glance. But don’t be so quick. Hybrid development is not for everybody. To be honest, unless you are up to build a simple internal company app or plan very short release cycles, a hybrid app can be more expensive in the long term. Such technology never offers a full native-like experience in terms of UX and doesn’t have access to advanced native features. 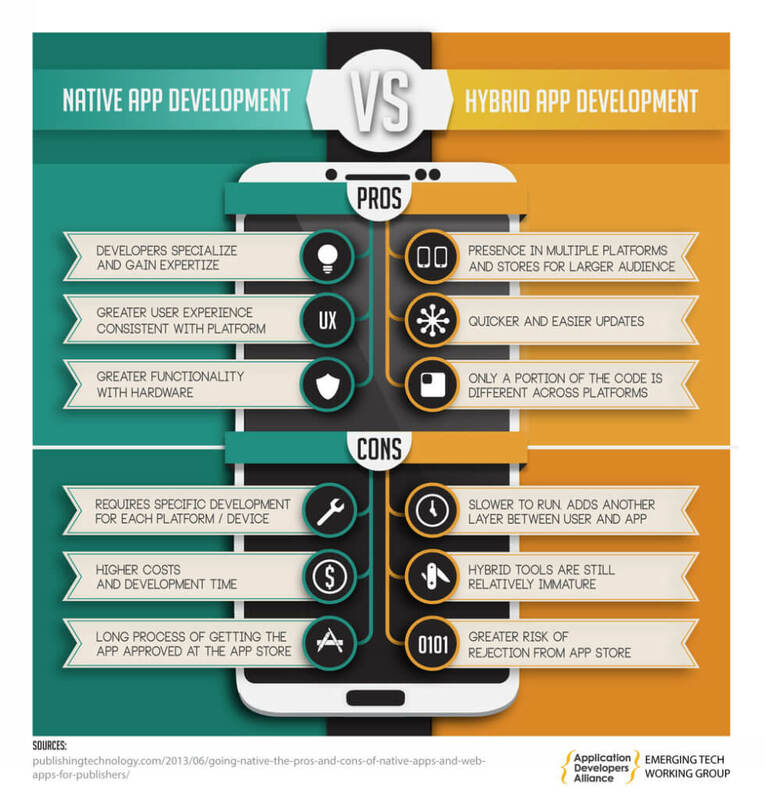 Hybrid apps are also slower than their native counterparts and sometimes face a lot of lags. That’s not a good news if you consider that users are very impatient nowadays and expect a seamless experience from apps they download. So in a long term, quality always pays off. It’s understandable that you want to set a price for your app development project in stone from the very beginning and are not willing to pay more, especially if your budget depends on external factors such as crowd-funding or angel investor. After all, in case of any problems the whole risk is taken by your app developer. But choosing a Fixed Price model doesn’t only protect your business. It can also significantly reduce your opportunities. Are you unsure what functionalities will be included in your app yet? Do you have only a draft or a simple idea of an app? Is your project too big to plan it in details? In all these cases, Time & Materials pricing model will give you more flexibility to change your project on the go and ensure the best quality of your app. And you shouldn’t be afraid that you don’t have any clue how much your app will cost – after all, your developer will give you a detailed estimation. Still too afraid to give Time & Materials a try? Choose Mixed Model with flexible budget and fixed iterations. You will get all advantages of Fixed Price plus a huge dose of flexibility. It is not surprising that a clear and detailed specification helps your developer a lot in creating your perfect app. It is always easier to understand your vision if you described exactly what you want to have done. However, don’t think here’s where the process of developing a successful app ends. Your programmers will definitely need your further engagement. Mobile app development is a complex process. Therefore, it is very difficult to plan it in every simple aspect from the very beginning. Sometimes, after an iteration or two, it becomes visible that certain adjustments are necessary. It is also not uncommon to make even significant changes after a series of QA tests. So have your specification put together from the start but be prepared for changes, too. If you want to know how to prepare a good app specification, check this quick and easy guide. You don’t expect to develop a huge building without a blueprint or travel through a foreign country without a map. Similarly, expecting to code a great app without a prototype is not a good idea. In mobile development such initial project of an app is called wireframes. To be more precise, wireframes are a representation of the skeletal structure of a mobile application. They stand for a roadmap which shows what your app will do, when you touch a tab or swipe. They tend to lack graphics and colors as are not meant to be perceived as the final application, only a prototype. Although usually simple, wireframes play a vital role in defining the structural foundation of the product. They help both partners, you and your developer, to understand how the app will act and make it easier to imagine the final product. They also make it possible to change processes and functionalities from the very beginning, saving the time and money needed to design and code the app. All in all, you don’t want any unexpected changes just before the launch, do you? Having a detailed specification or at least a long list of functionalities that you expect your app to have is a good starting point. But don’t trust those who tell you that you just have to code everything in the very first version of your application. It’s not true. Suppose you want to have your app idea coded as soon as possible to outrun the competition. Or that you have a tight budget and can’t afford any business mistakes. Developing the whole app with each functionality you’ve thought of can be both costly and take a long time. But there is a perfect solution for these problems: an MVP (Minimum Viable Product). The MVP is basically an early version of your product that has enough features to test whether it’s viable in the market. You can easily offer your MVP app in app stores, beat the competition and get profits straight away. And you can further develop this idea later, when your app starts to become popular. Interested in MVP method? Want to find out more? Check why choosing an MVP is a great idea. Developing your app at the lowest price possible seems to be the best solution. But if you think about your app business seriously, it shouldn’t be the only factor to take into account. Instead, the quality of code is very important. “Software cost is traditionally split between 10% coding and 90% maintenance, for well-coded projects. You might save 50% of the costs on the coding part by cheaping out on your developer (a total savings of 5%), but you’ll pay it ten times over when it comes to maintaining the steaming pile of legacy code that was left behind,” says one of Reddit users. Other programmers who had to rewrite poorly developed code agree with him and complain about difficulties of rewriting already developed code (check the Reddit conversation on this topic). So if you really want to have your app developed cheaper, don’t make shortcuts because they simply don’t pay off. Instead, check your developer’s portfolio and find out what kind of notes he gets in app developers rankings such as AppFutura or Clutch. Such effort will prevent you from choosing only on the basis of price. User experience and beautiful design are extremely important in the times when 77% of apps are abandoned within the first 72 hours after installing. But unfortunately they are not a magic lamp that will guarantee your application a well-deserved success. Why? Because even the prettiest app won’t be discovered without a marketing campaign. It’s just the same as with any other product: the market is full of similar things and you have to catch user’s attention to simply make them give your app a try. So what can you do? A great landing page is a must. Your app just needs a place where users can find it and get to know something about it. Another place of discovery is search engines. And I don’t mean only Google by it. Pay attention to ASO (app store optimization) and you are bound to notice the difference. For more tips how to reach 1.000.000 app downloads, check our free ebook. Do you already know how to find your way in the mobile world and develop a great app? Fill in this form to get a free quote for your app idea. 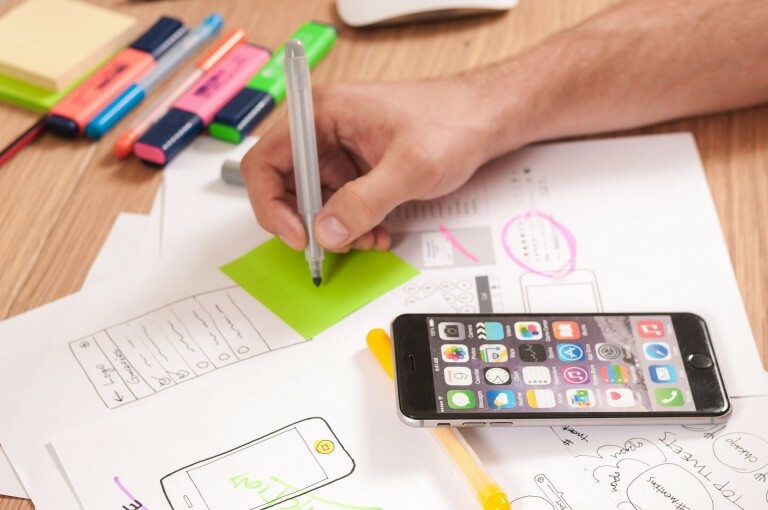 HOW TO DEVELOP A MOBILE APP STRATEGY IN 5 EASY STEPS?